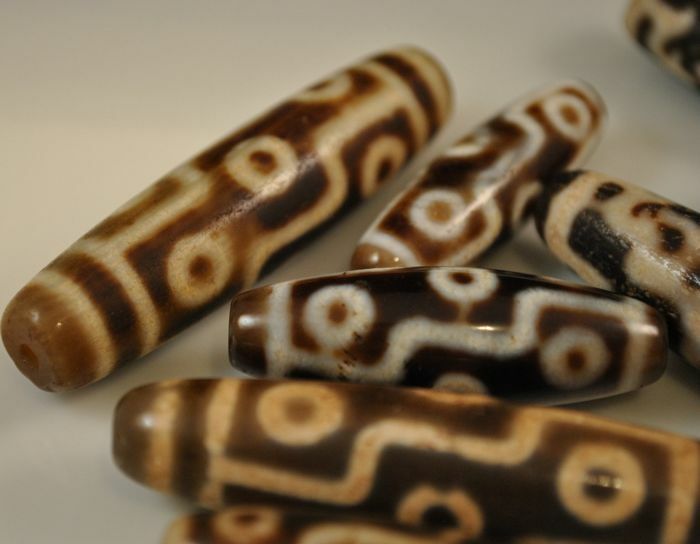 All beads are made out of Agate! 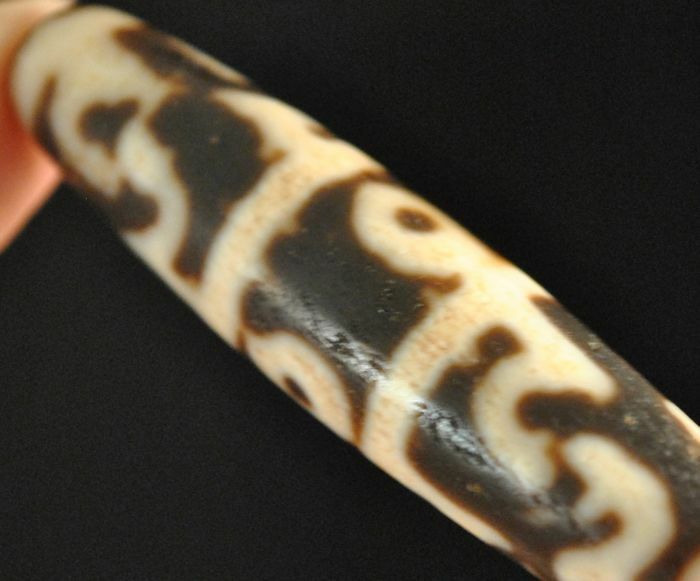 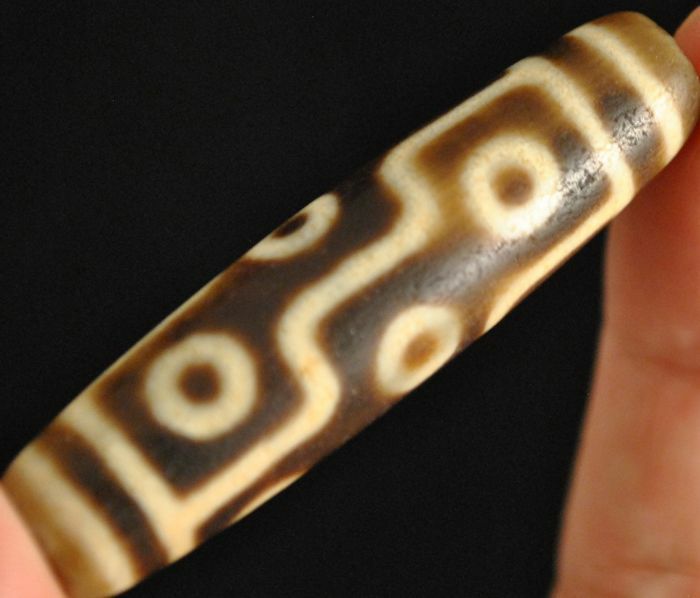 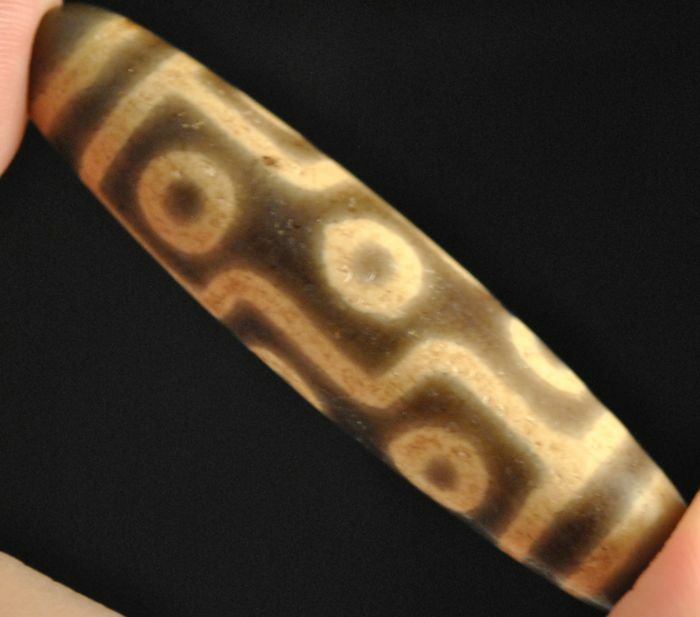 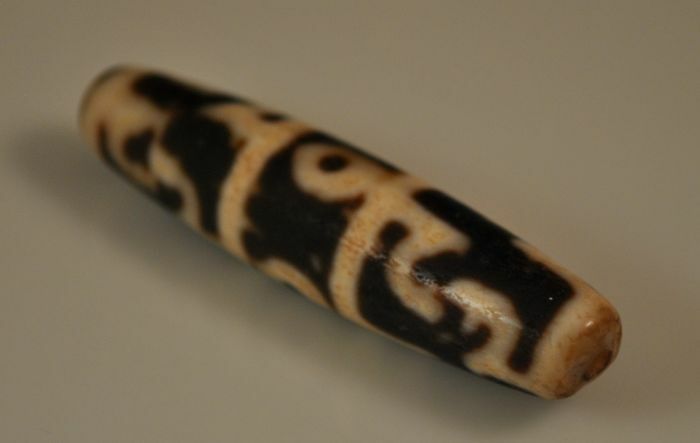 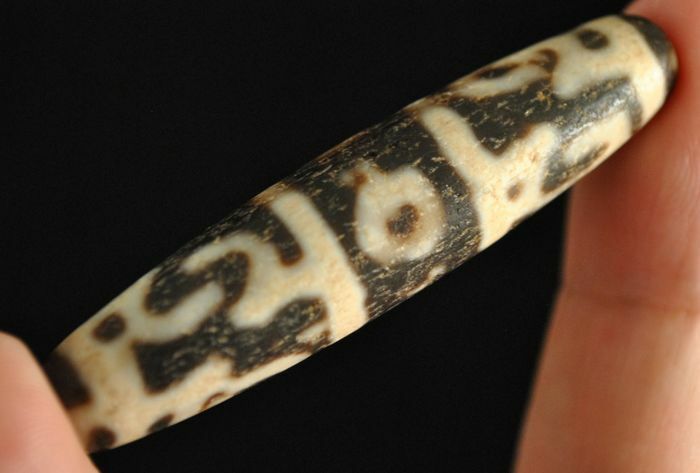 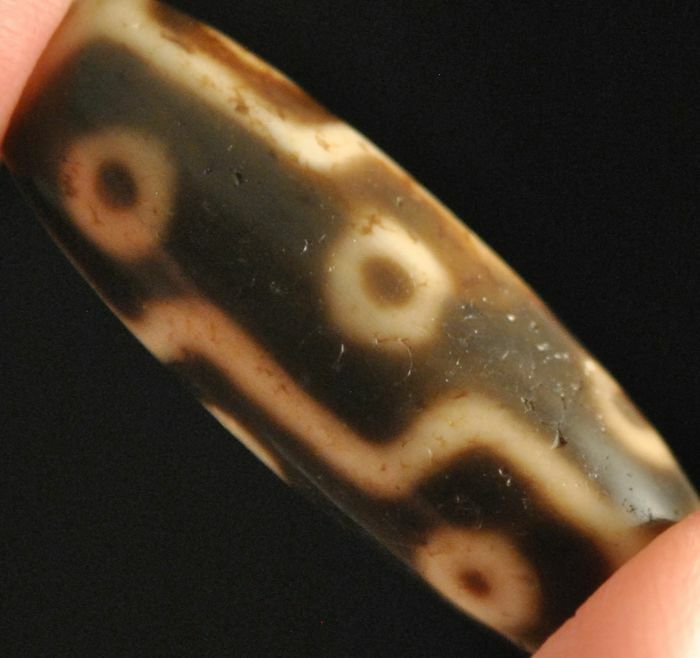 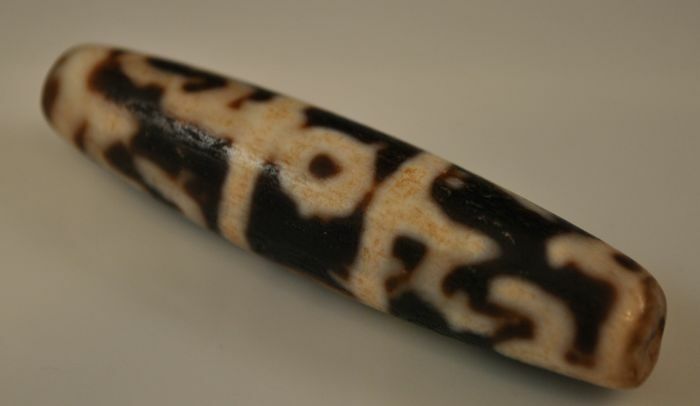 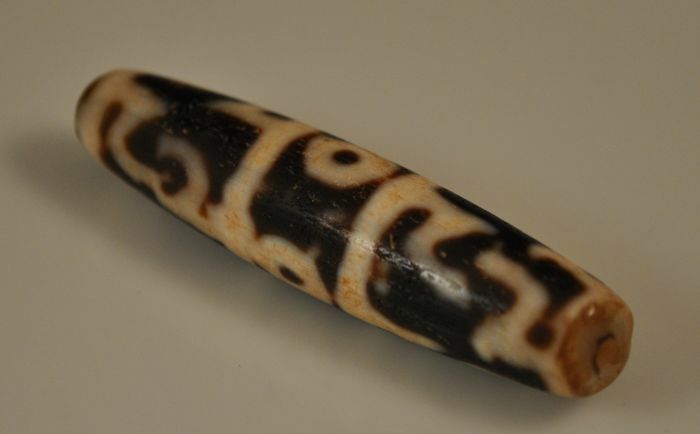 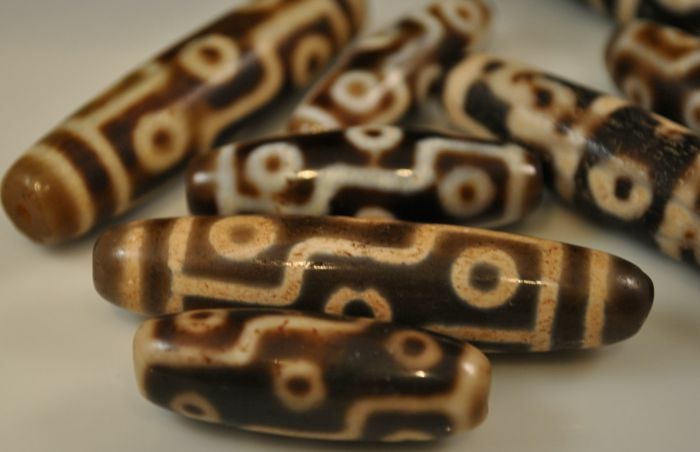 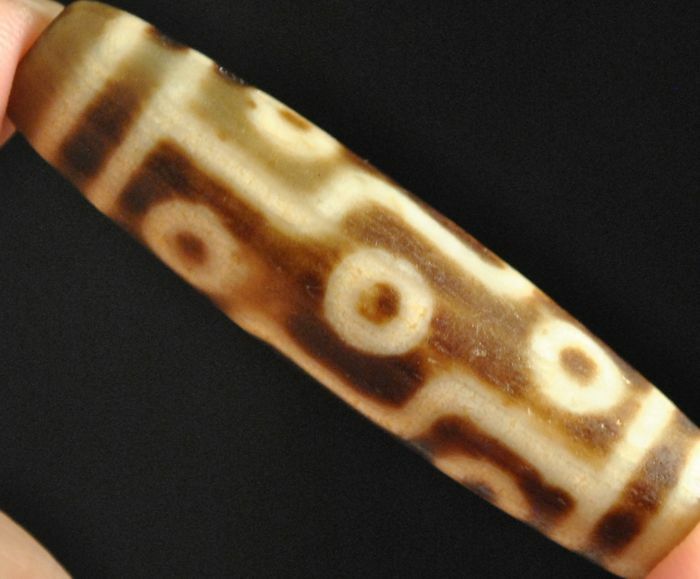 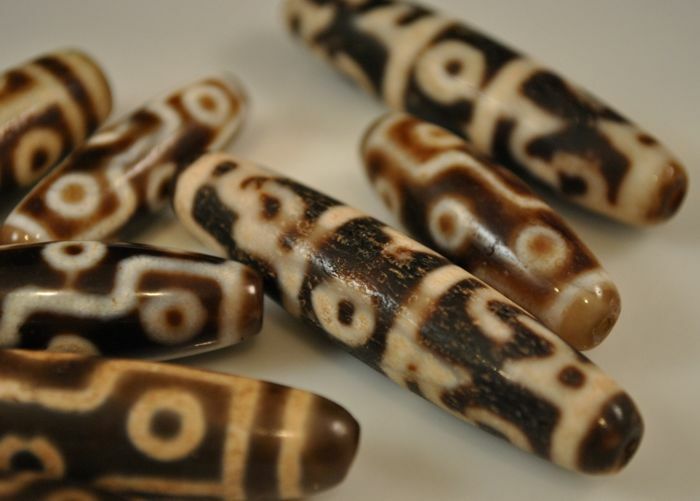 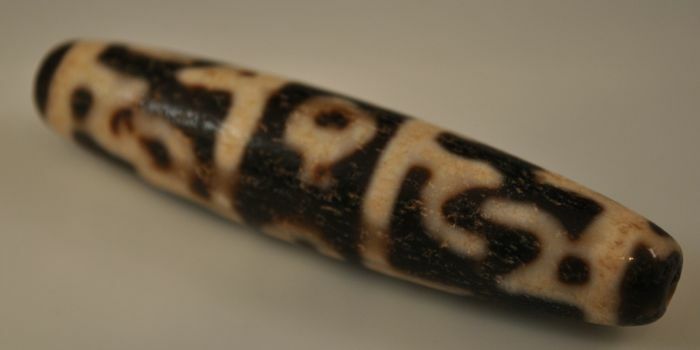 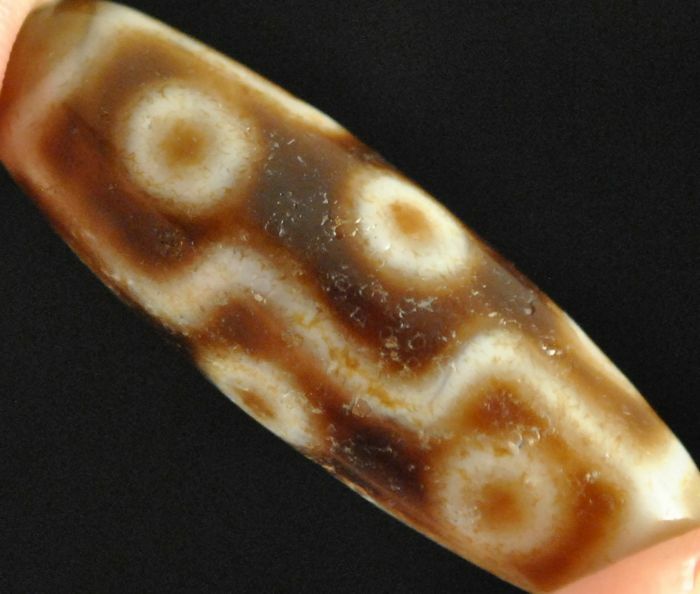 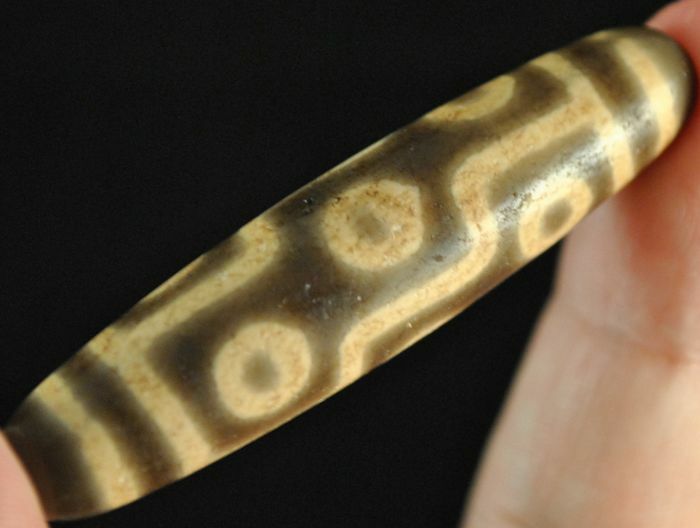 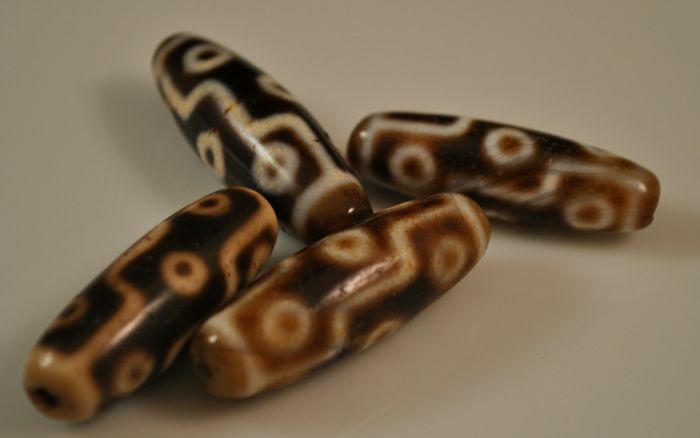 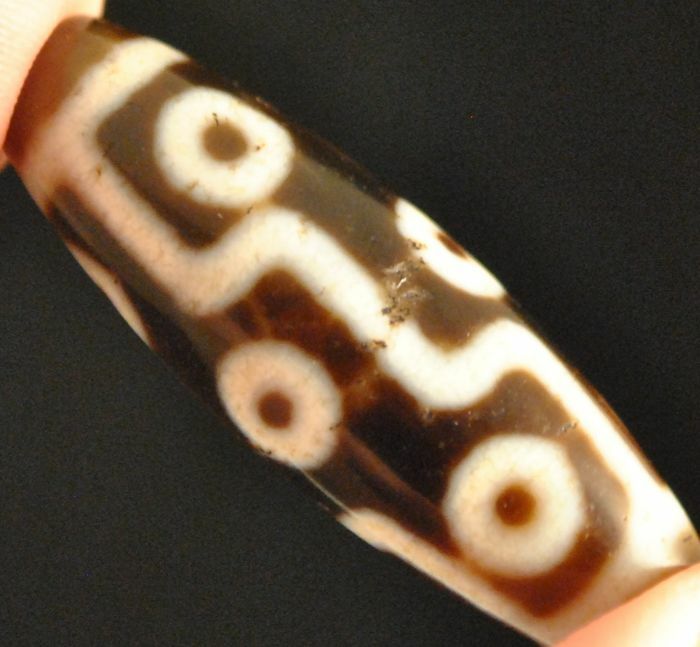 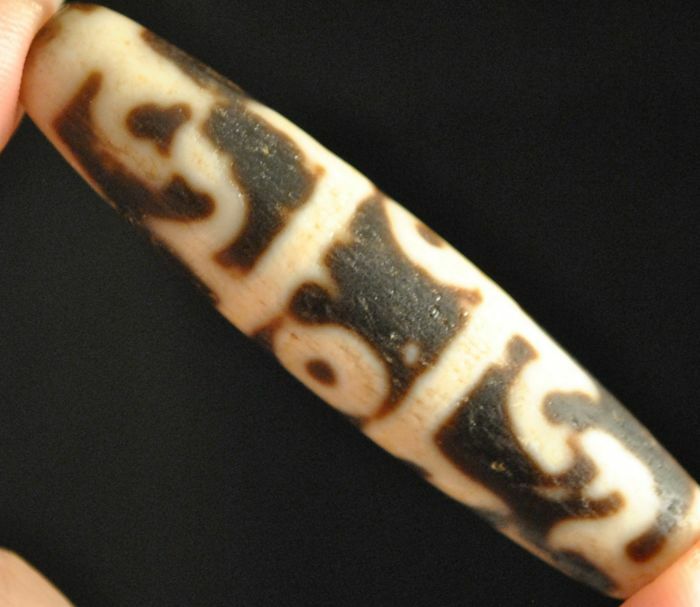 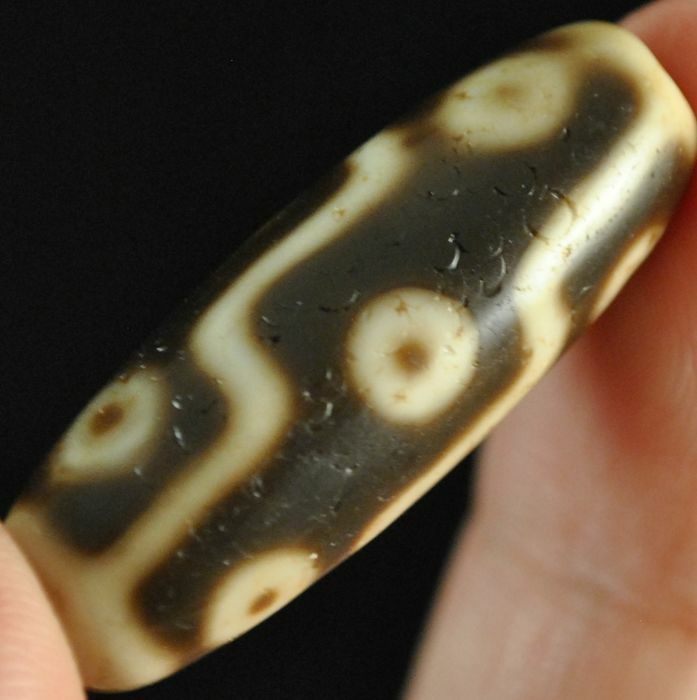 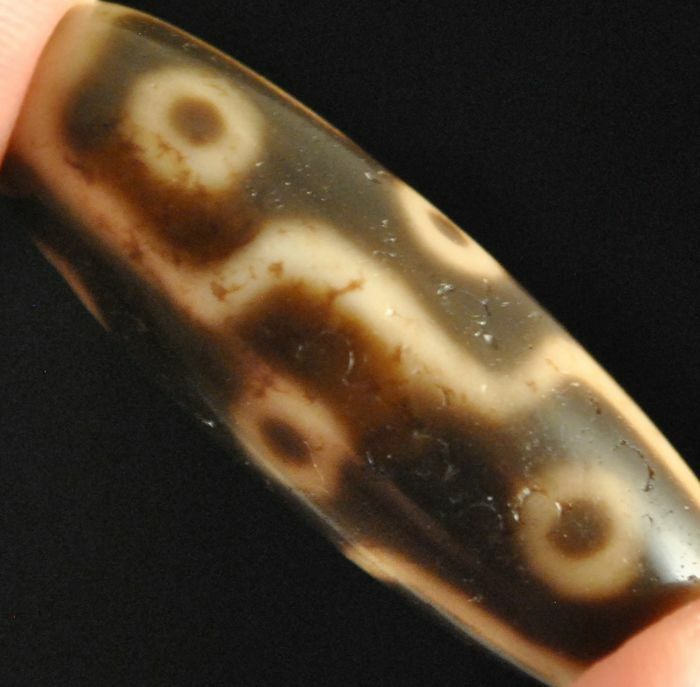 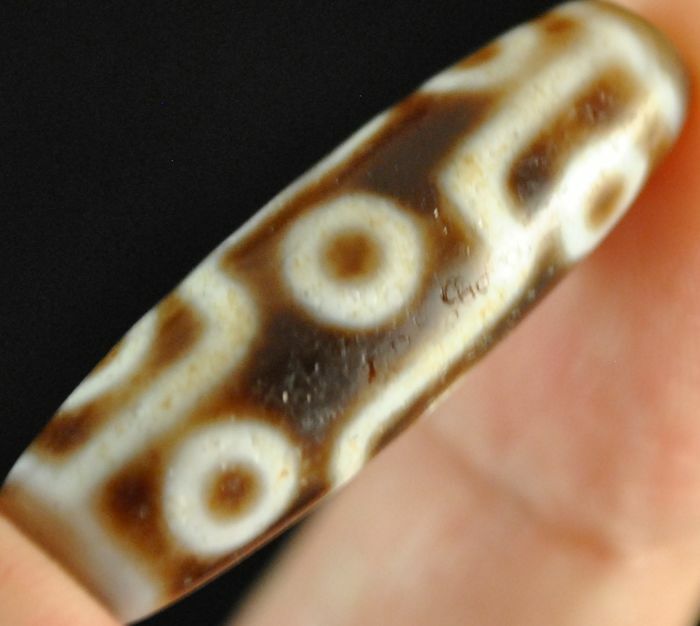 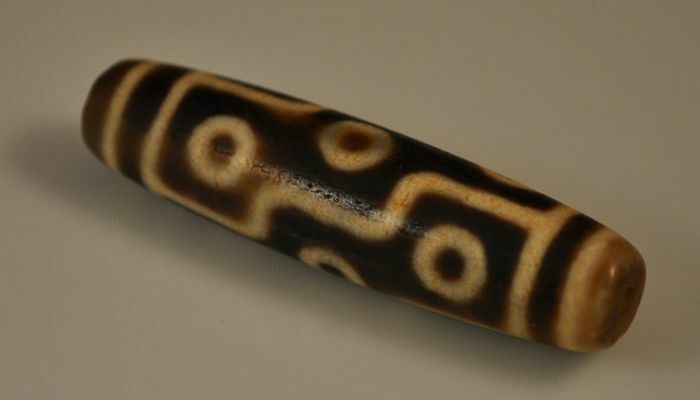 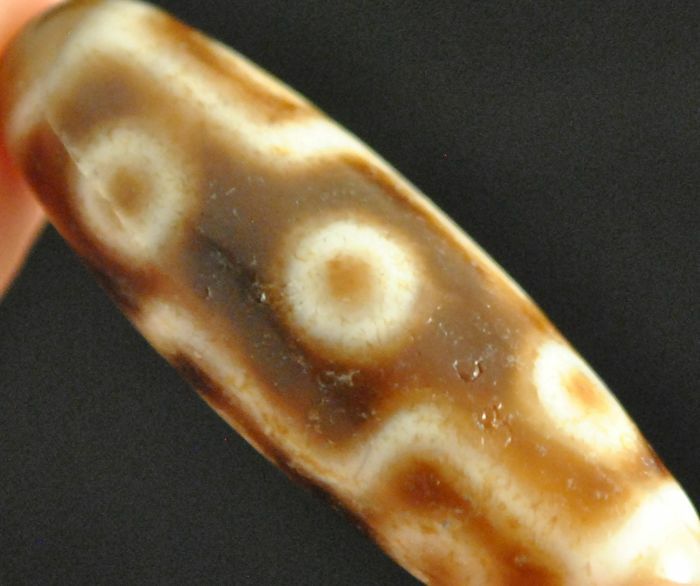 8 Dzi Beads are from 12 eyes to 9 eyes with size spanning from 6cm to 4cm. 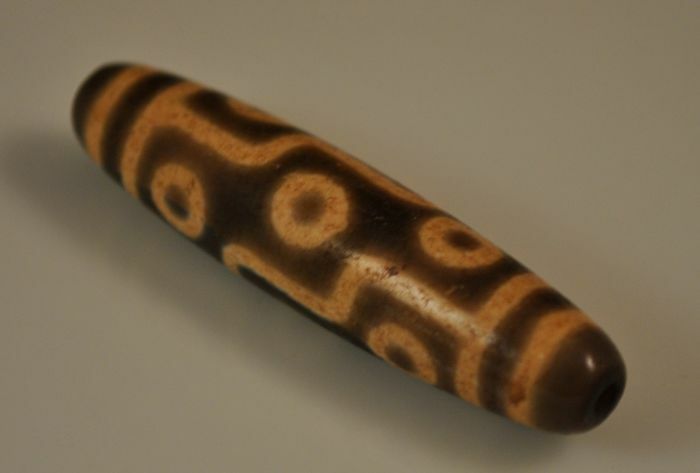 2 are probabily made in the 1st half of 20th Century. 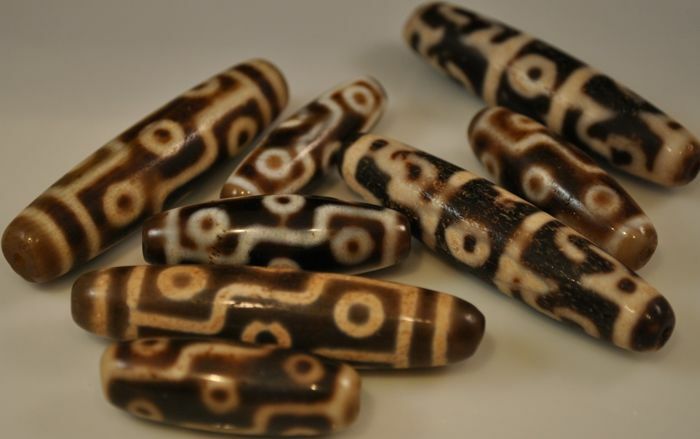 And please also pay attention that the Dzi Beads I have collected are genuine and old, as I knew this field for very long time. 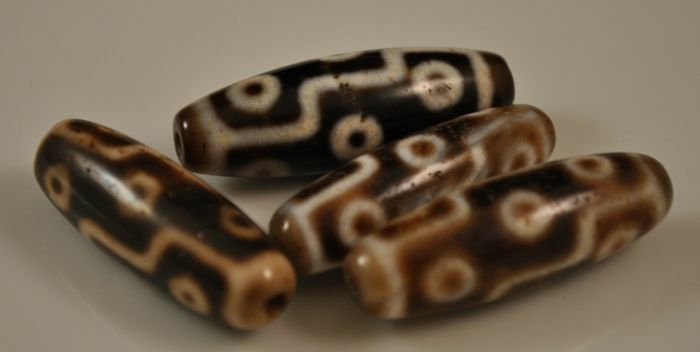 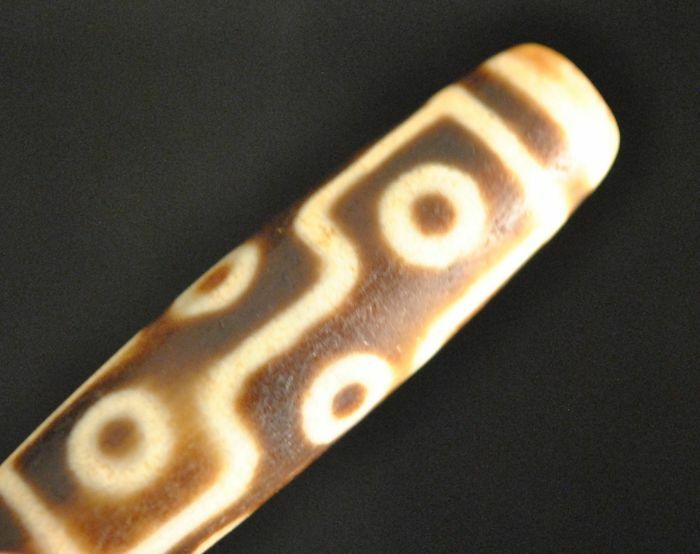 And you should be able to see the difference to the new Dzi Beads. 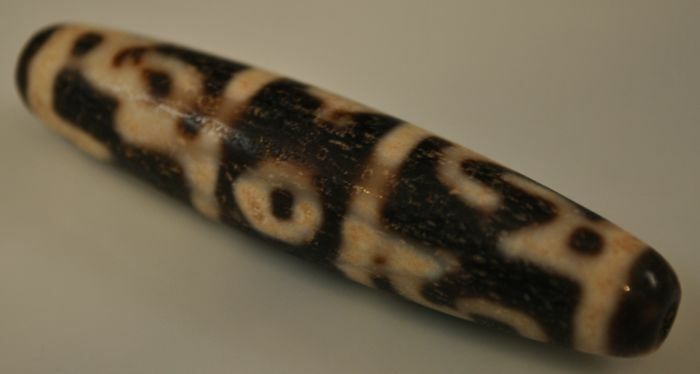 Photos are considered as part of the description, which should be checked carefully. 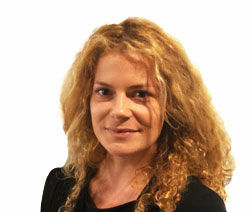 Shipping to world wide with DHL. 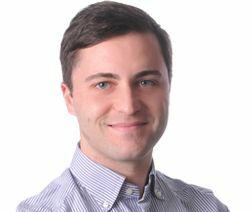 Sie können diesen Artikel auch beim Verkäufer abholen: Aying, Deutschland.